Drilling is a common method for learning and refining techniques in jiu jitsu. While drilling is not complicated, there are a few concepts and fundamental aspects that once understood, will help you get the most out of it. Here are a few suggestions I would make based on my own experience. Ask questions and make sure you’re getting it right. The way you drill a move is the way you will execute it when rolling. Don’t drill bad technique. If you’re confused about a move or sequence, ask your coach for clarification. Ask your training partner for feedback. Use proper positional fundamentals when setting the move up. If your drilling a back take starting from half guard knee shield position. Make sure your knee shield is strong and you’re using good frames so as not to get flattened out. In live rolling you’ll never pull the move off if you’re constantly smashed and flattened out every time you’re in bottom half guard. Finish the move. If you are drilling a sweep, don’t settle for just knocking your training partner off his base, follow through until you are in a dominant position. If you’re drilling a pass continue until you’ve secured side control or knee on belly and are setting up the next transition or submission. If finishing the move is not a part of your drilling, you will find yourself constantly in live rolling “almost” getting the sweep or pass. Experiment and pay attention to detail. Let’s look at the scissor sweep. Will gripping the sleeve at the wrist or elbow work best for you? When gripping the sleeve at the wrist, does a pistol grip, or a pocket grip work best for you? Does it work best for you to have you shin across your partner’s torso parallel to the floor, at a 45-degree angle, or something in between? These are just some of the details of one move that need to be looked at and experimented with. Drilling gives you the best opportunity to do this. Apply the appropriate amount of resistance. The only thing worse than having a training partner simply fall over before you’re even half way through setting up a sweep is when they go into full lockdown “you’ll never sweep me” mode. Initially you should apply enough resistance that your partner must do the technique correctly but no more. As you progress and train with more experience training partners the level of resistance will increase slightly. Think about your defense and counters. The key here is think about your defense and counters. You are not actually trying to prevent your partner from completing the move or counter them. At a bare minimum, when your training partner drills a sweep or pass, assume the correct defensive posture including frames and hand positions as they complete the move. Provide some feedback for your training partner. I never presume I’m qualified to tell others (especially those at, or above, my rank) how to do jiu jitsu, but I’m more than comfortable providing simple feedback like “when you gripped behind my elbow I felt like the technique was stronger than when you grabbed my sleeve at the wrist”. This is not an exhaustive list or a list of the most important…. 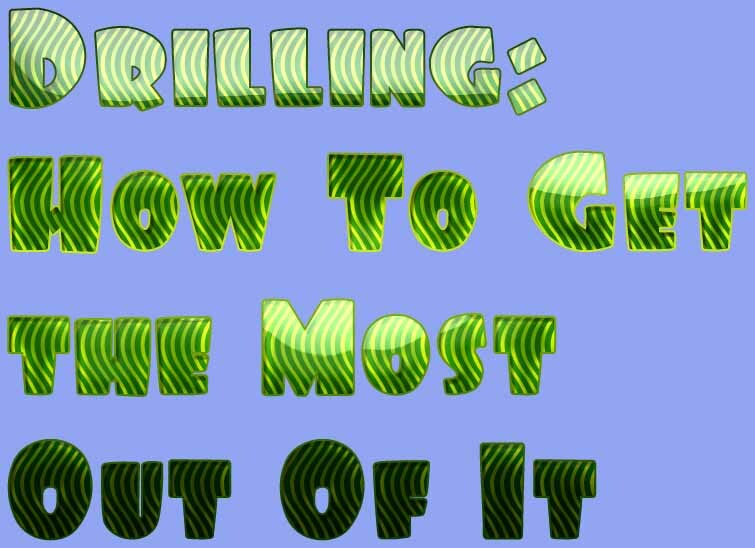 It’s just a list of things worth considering to help you get more out of drilling. This entry was posted in Article and tagged bjj coaching, bjj drilling, bjj tips, jiu-jitsu drilling, jiuj-jitsu learning, training bjj by byronjabara. Bookmark the permalink.